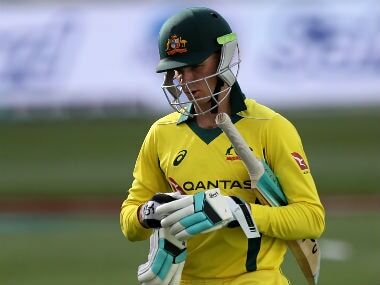 Melbourne: Rookie batsman Nic Maddinson will be given another chance to prove himself after Australia on Sunday named an unchanged team for the second Test against Pakistan in Melbourne. 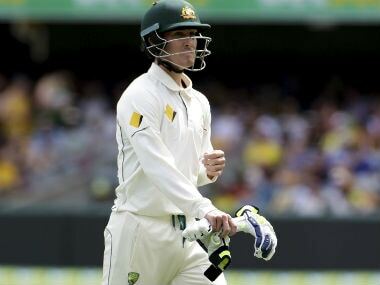 Maddinson's place at number six for the Boxing Day showpiece was in doubt after scores of 0, 1 and 4 in his first three Test innings, following his debut against South Africa in Adelaide last month. 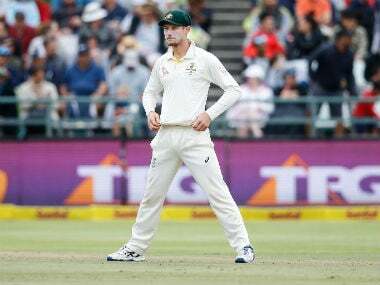 It meant that Zimbabwe-born all-rounder Hilton Cartwright will not make his first appearance in Monday's Test at the Melbourne Cricket Ground (MCG). Paceman Chadd Sayers again also misses out on a Test debut, with Australia sticking with the pace trio of Mitchell Starc, Josh Hazlewood and Jackson Bird. Spinner Nathan Lyon rounds off the attack. "We brought the all-rounder into the squad because the bowlers had a pretty heavy workload, but they've pulled up well and they're confident they can get through," skipper Steve Smith told reporters on Sunday. "Obviously (Nic) hasn't started the way he would have liked. "I was really proud of him in the second innings in Brisbane to come out and do the thing for the team and try and score quick runs and have a crack. "That's what we want from our team, to have unselfish players like that, and I thought he did a good job to come out and do that." Pakistan's spirited fourth innings comeback in the day-night first Test at the Gabba meant that Starc and Hazlewood each sent down 56 overs for the match, while Bird bowled 45. 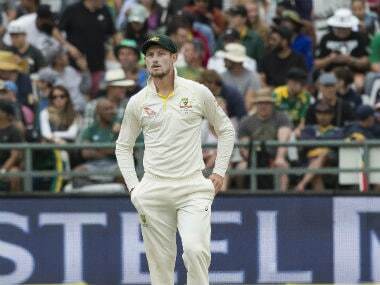 With plenty of grass on the MCG wicket, Smith indicated he may be tempted to give his bowlers first use of the drop in pitch should he win the toss. "It's a lot greener than I've seen it in the past couple of years," Smith said. "The grass dies pretty quickly here and the wicket goes white so we'll sum it up in the morning and see what we want to do from there. "I think the red ball out here is going to be a lot different to the pink ball (used in the Gabba Test). "It will probably stay harder for a lot longer, so we'll be able to generate that bounce and carry that we couldn't do for long periods of time (in Brisbane)." The unchanged team signals a desire for continuity after a period of turmoil during Australia's recent 2-1 home series loss to South Africa. Smith faced criticism for his defensive field settings on the final day in Brisbane as Pakistan got within 40 runs of what would have been a famous victory after being set a world record 490-run target. 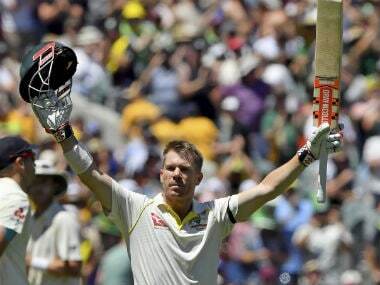 "People are open to criticise me all they like but in the end, we won the Test match so I'm happy with that," Smith said. "You can always learn from different things. "I'm really happy we won the Test match and that's five wins in a row for Australia (including one-day victories over New Zealand), so we're heading in the right direction." Australia squad: David Warner, Matt Renshaw, Usman Khawaja, Steve Smith (capt), Peter Handscomb, Nic Maddinson, Matthew Wade, Mitchell Starc, Josh Hazlewood, Nathan Lyon, Jackson Bird.